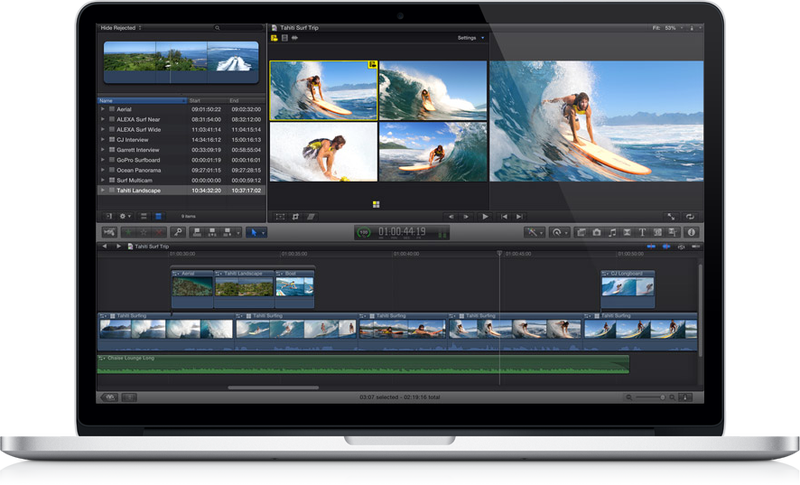 Apple's Final Cut Pro is being updated for the new retina screened Next Gen MacBook Pro. That screenshot above? That's a full size 1080p video on the new 2800 x 1800 resolution on a 15.4-inch screen.